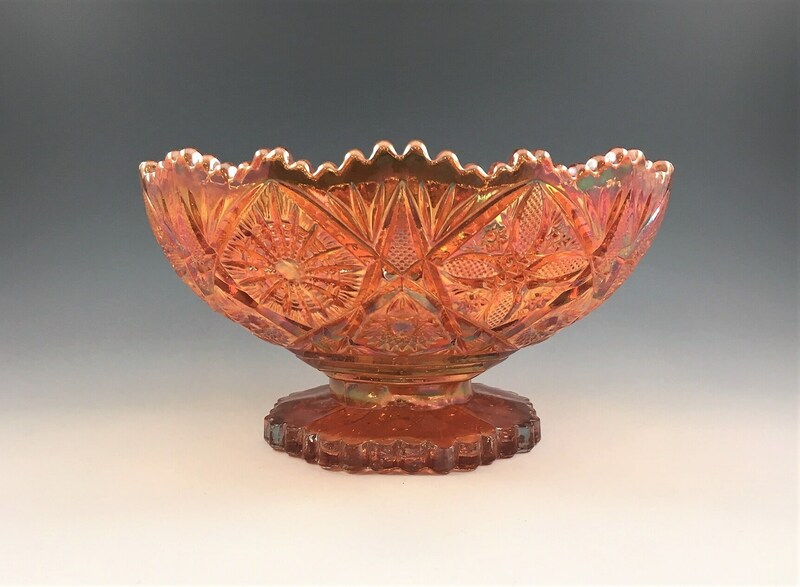 Featured here is a stunning Contemporary Carnival Glass bowl or compote from Imperial Glass. It's a 1960's reissue of their Classic Carnival pattern, Fancy Flowers. 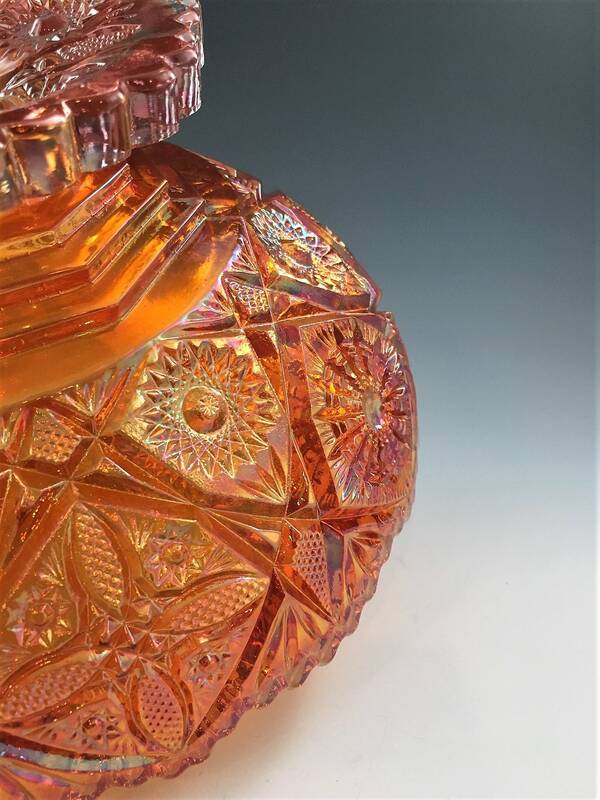 This colored is called Rubigold and it just sparkles in the sunlight. 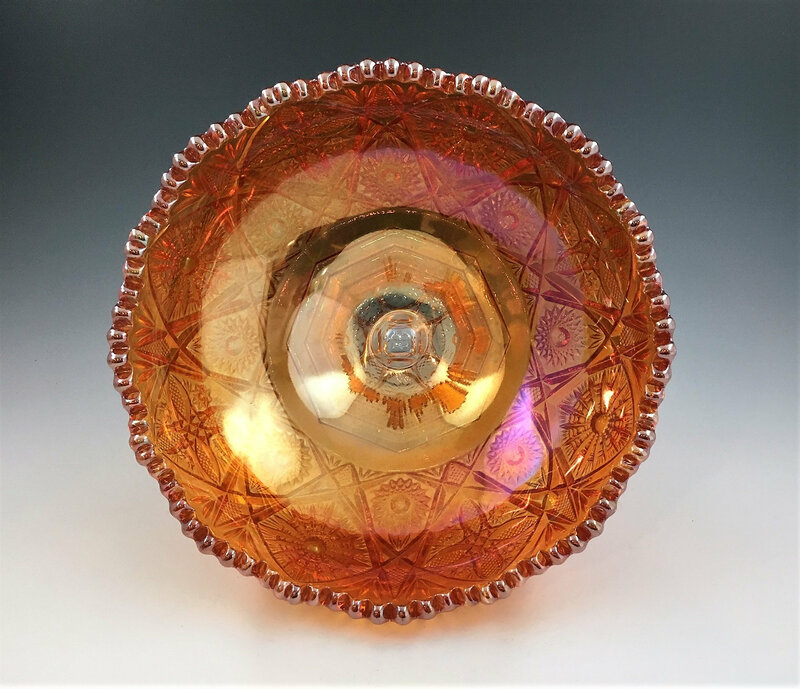 This is a hefty piece, weighing in at 3 pounds and measuring about 8 1/2 inches in diameter and 4 1/2 inches tall. The pattern is on the exterior; the interior is plain. 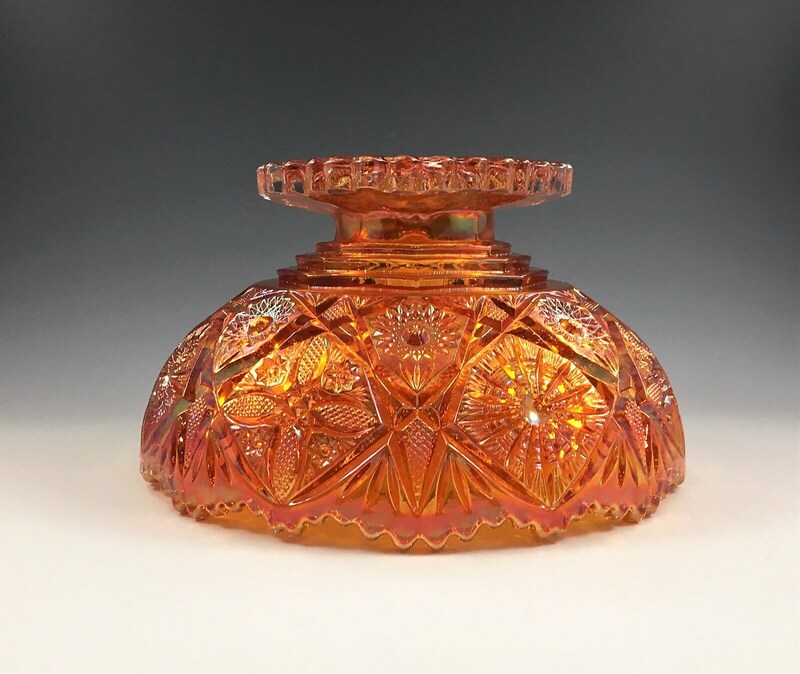 It has a thick base with a short, broad octagonal stem. 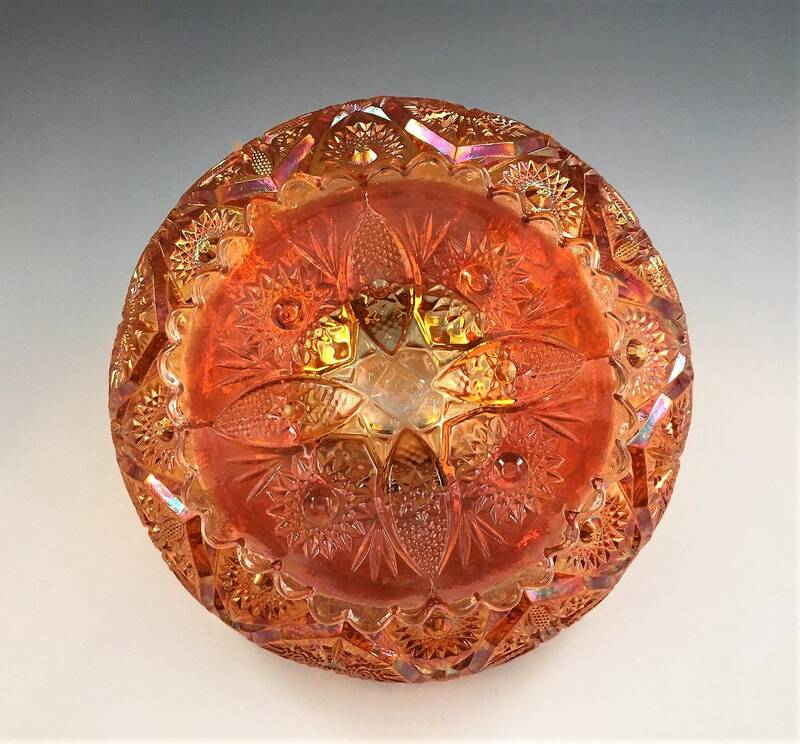 This piece is in excellent condition with great iridescence and no chips or cracks.